Kalapa Valley is a Shambhala pilgrimage site and sacred park. In 1979 the Druk Sakyong, Trungpa Rinpoche, recognized the valley as Kalapa, Shambhala’s capital. Sakyong Mipham Rinpoche has proclaimed Kalapa Valley the Sacred Centre of Shambhala. 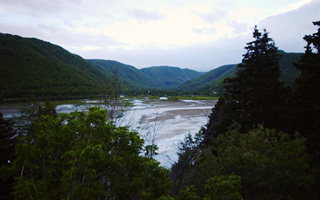 This sacred park is a forested river valley with waterfalls and meadows, adjacent to Cape Breton Highlands National Park, on Cape Breton island, Nova Scotia. Pilgrimages to Kalapa Valley are most encouraged, nourishing both visitors and the Shambhala community worldwide. Kalapa Valley is open to all Shambhala community members and friends. A comfortable house, camping sites, and hiking trails invite overnight, weeklong and day visitors to enjoy the peaceful and powerful simplicity of this woodland valley. 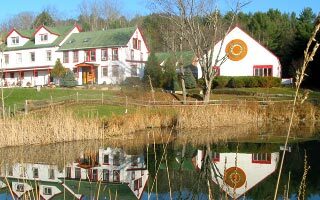 Located in beautiful northeast Vermont on more than 600 acres of lush wooded hills, Karmê Chöling includes seven meditation halls, a zen archery range, a large organic garden, comfortable private guest rooms, and full dining facilities. It is a magical place for meditation practice. We offer beginning instruction for those new to meditation, teachings in Tibetan Buddhism, programs in the contemplative arts, and visits from renowned teachers. We welcome you to visit Karmê Chöling and explore the many ways that meditation and contemplative practices can add a sense of well being and peace to your life, as well as bring loving-kindness and compassion to the world. 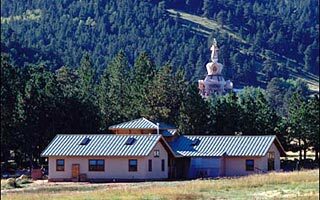 Shambhala Mountain Center is a mountain valley retreat located on 600 acres in northern Colorado. Since 1971 the Center has offered hundreds of programs on Buddhist meditation, yoga and other contemplative disciplines. As a contemplative retreat, Shambhala Mountain Center is a place where one of the basic truths of Buddhism—that people can be profoundly open to the wisdom of the present moment—is always readily available. 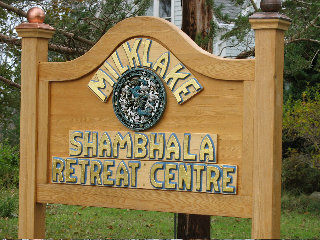 Shambhala Mountain Center is both an introductory and in-depth training center for students of the Buddhist teachings. The Center is also a non-sectarian facility where the insights of Buddhism can mix with other traditions of human transformation and be applied to educational, cultural, and artistic disciplines. 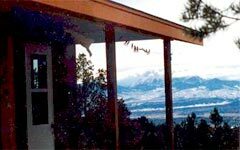 Our unique, contemplative environment—situated in the peace, quiet, and splendor of the Colorado Rockies—is ideal for retreat, renewal, study, creative exploration and play. Dechen Chöling sits in a land of rolling country meadows and magnificent old trees near Limoges, France. People from around the world come to Dechen Chöling to learn and practice meditation in various forms, and to relax within the beauty of our 56 acres of land surround by magnificent old trees. Physically, Dechen Chöling looks like a small village. The Chateau and surrounding farm buildings sit in an open, yet protected landscape. Since its inception, Dechen Chöling has given people of all practice levels a place to discover themselves in meditation, and to deepen their understandings of the Buddhist and Shambhala teachings. 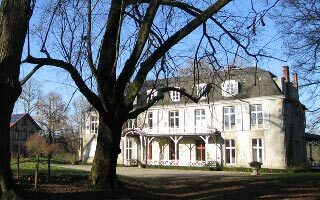 It has become a fertile ground for people of all European countries, and indeed all continents, to study and practice together in a dignified and bucolic atmosphere. 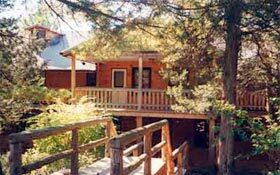 Dorje Denma Ling has a rustic retreat and conference facility on nearly 400 acres of meadowland and forest overlooking the Northumberland Strait near the village of Tatamagouche. It is located close to sandy beaches and the beautiful falls from which the area derives its name. The area, The Falls in the Cobequid Mountains of Nova Scotia, is just one and one-half hours drive northwest of the city of Halifax. 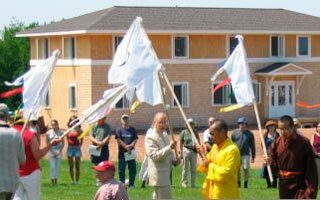 Dorje Denma Ling has year-round facilities and offers practice and study programs in the Shambhala and Buddhist traditions. Located on the remote tip of Cape Breton Island in Nova Scotia, Canada, Gampo Abbey provides the ground for the establishment in the west of the Buddhist monastic tradition, one of the living jewels of Shambhala. As such, it promotes an enlightened society’s vision of wakefulness, fearlessness and gentleness, as well as openness to different spiritual traditions. 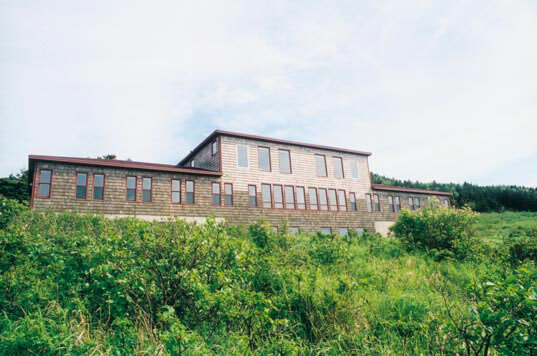 Gampo Abbey is a community whose monastic and lay members are devoted to contemplative practice, study and service, while abiding by the five precepts as a way to live simply and harmoniously. Gampo Abbey is a Shambhala Buddhist monastery which provides optimal conditions for its residents to embody the three-yana view of renunciation, benevolence and sacred outlook. Nestled in a forest of tall cedars and white pines on the northern crest of the Shawangunk Mountains in upstate New York, Sky Lake is a Shambhala contemplative center for meditation, arts and community. Our 18-bed lodge is available for conferences and group retreats, as well as Bed & Breakfast weekends. Just two hours north of Manhattan in the Mid-Hudson River Valley, you can enjoy extraordinary hiking trails on our secluded eighteen acres or on the adjacent Mohonk Preserve, scale the Gunks or take a stroll around our spring-fed pond. The Lodge has a contemplative, peaceful ambience and is a genuine haven from the rigors of urban life. Casa Werma is a Shambhala lineage site. In the gardens of Casa Werma in 1980 the Druk Sakyong Trungpa Rinpoche wrote the Werma Sadhana, an advanced Shambhala practice. 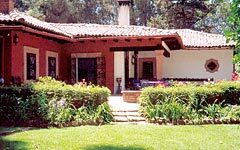 Casa Werma is a practice and retreat centre located in the picturesque town of Pátzcuaro, in the heart of México, famous for its local artisans, beautiful landscapes and colorful markets. It is an unforgettable place for Shambhala programs, for personal retreat, for art, and for travel and discovery. It is open as well to the public as a bed and breakfast, for celebratory events, conferences or for a vacation. After almost thirty years, meditation practitioners have come to know Dorje Khyung Dzong (“Indestructible Garuda Fortress”) as an ideal place for solitary retreat. It sits on the slope of Greenhorn Mountain overlooking the Huerfano Valley and the Sangre de Christo Mountains of southern Colorado. Secluded on over four hundred acres of pine and juniper forests, Dorje Khyung Dzong provides the quiet and privacy of a solitary retreat for those who seek to deepen their spiritual practice through meditation. 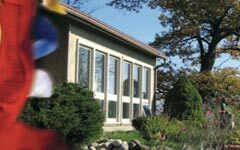 The Windhorse Retreat Center at High Wind is located in a beautiful glacial area adjacent to the 15,000 acre Kettle Moraine State Forest, near Milwaukee, Wisconsin. Built in the 1970s as a state-of-the-art passive solar house, it is now home to Windhorse Retreat Center. Open year-round, the retreat center is available for group programs, individual retreats, artistic gatherings, nature explorations, and private events. Located at Gampo Abbey, Sopa Chöling retreat is one of the hidden jewels of the Shambhala mandala. It combines group and individual practice so that serious practitioners can experience a profound, undistracted environment for meditation. This comfortable, well supported retreat is gaining in popularity among retirees who finally have time to complete their Chakrasamvara, Six Dharmas and mahamudra practice. Retreats range from three to six months in length. Three elegant retreat cottages in secluded locations, situated on 64 acres of meadows and forest, overlooking Dragon Lake. These cottages are beautifully designed and spacious, with many windows, electricity, hot water, and fully equipped kitchens and bathrooms. We provide puja tables, meditation cushions, satin covered shrines, and Vermont Castings wood stoves (with electric baseboard heat for back-up). Milklake is located 1 1/2 hours south of Halifax, with a small commissary in the main house, large barn, organic gardens and orchard. Trails along the lake lead to the Mother Lineage Shrine. 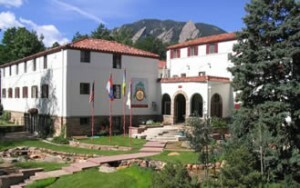 Marpa House is a Shambhala Buddhist residence located the heart of Boulder, Colorado. It was established in 1973 by the Venerable Chögyam Trungpa, Rinpoche. Marpa House welcomes residents from diverse backgrounds who have an interest in mindfulness and meditation. It is a place for those curious about Shambhala, inspired by living in community, practicing meditation and exploring the vision of creating an enlightened society. There are three shrine rooms for various practices, a large dining room/community room along with magnificent views of the Boulder Flatirons and hiking trails.